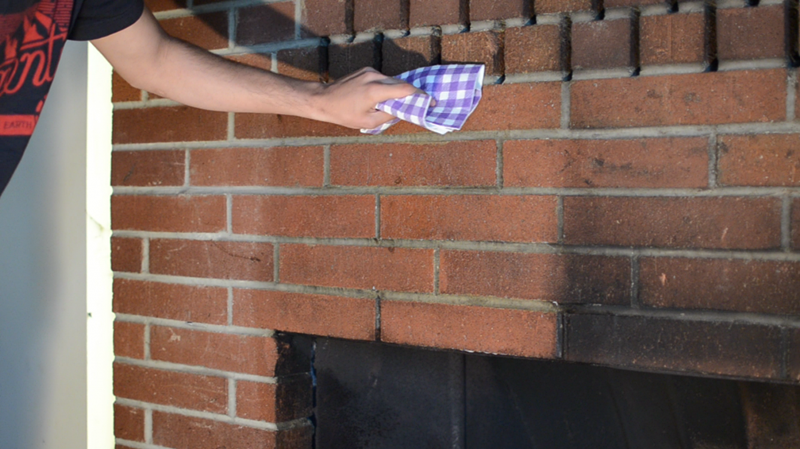 Cleaning the fireplace is a procedure that should be done before the cold weather starts to ensure optimal functionality. You'll need a fireplace shovel, a handheld vacuum, a nylon brush and a solution of water and bleach. Bring the grate and andirons outdoors. Scrub them thoroughly using a nylon brush. Use water to rinse them off, and use a towel or rag for drying. Polish them with a metal polish, if desired. Use a fireplace shovel to remove any ashes or burnt matter from the floor. Dispose of all materials. Place newspapers along the floor to catch soot and dust. Use the nylon brush to wipe down the walls, starting from the top and moving down. If there is still dust and debris, use a handheld vacuum or a hose attachment to remove it. It may be necessary to wear a protective mask. Mix a solution with 6 tablespoons of trisodium phosphate, 1 cup of bleach and 1 gallon of warm water. Wearing protective gloves, scrub the walls thoroughly with the nylon brush. Rinse the walls with water, and use a towel to dry them off. Server responsed at: 04/18/2019 2:39 p.m.